Most yogurt is rich in probiotics and good for the gut. If you’re one of the lucky ones yet to catch a cold or the flu this season, you probably want to do your darndest to keep that good luck rolling. Even if you’ve been sick, there’s a good chance you don’t want to relive that nightmare all over again. 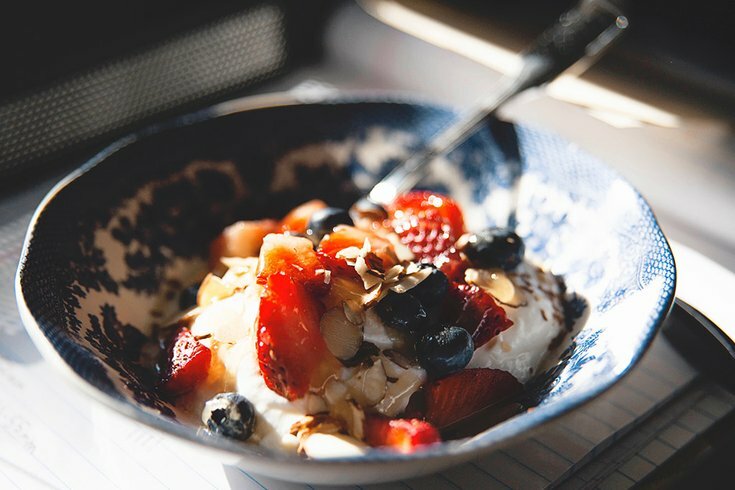 So, maybe you’ve been chugging orange juice, or chowing down on antioxidant-rich foods to fend off the sickness that feels like a looming dark cloud over your head, but there’s a more effective weapon against getting sick: probiotic-rich yogurt. RELATED READ: Are these popular diets (keto, paleo, etc.) keeping your gut healthy? If you’re a religious kombucha drinker, then you’re probably well aware of probiotics and what they do, but if not, here’s the scoop: probiotics are the live bacteria and yeasts called "the good" microorganisms because they benefit the body, specifically the digestive system by reducing the “bad” bacteria in your gut, which can cause inflammation, according to Cleveland Clinic. Aside from balancing gut bacteria, probiotics have been lauded in research studies for treating numerous ailments from skin infections to mental illness and, of course, boosting the immune system. In a June 2017 study published in the journal Nutrients, researchers investigated the immune-boosting powers of probiotics in yogurt. Older adults ate either yogurt with probiotics or took a placebo (sugar pill) for 12 weeks. The people who ate the yogurt experienced increases in immune system cells that help to fight off viruses, Men’s Health notes. The live bacteria of probiotics seem to interact with the microbes in our intestines. These 100 trillion microbes produce vitamins, such as B6, B12, and K, which help fight bad bacteria such as E. coli and Salmonella, and help keep the bowels moving. Probiotics may also bolster the barrier function of the intestines, helping to keep viruses and bacteria from getting through. Before you run out and buy any old yogurt, keep in mind that they’re not all equally as immunity-boosting. The first thing you want to see when selecting a yogurt to fend off colds is "live and active cultures" somewhere on the packaging. You’ll also want to opt for a yogurt that lists the bacteria lactobacillus acidophilus (l. acidophilus) and/or Bifidobacterium (B. bifidum) on the ingredients label, which are the most potent bacteria, Men’s Health explains. It’s also best to select a yogurt containing at least six grams of protein, but no more than 200 calories, four grams of fat, or 30 grams of sugar to keep your overall health in check while fighting colds.